please can I use my result with 6 credit include English & D7 in maths to study psychology faculty of social science in university ? @Ibrahim Sani, you need maths for psychology. 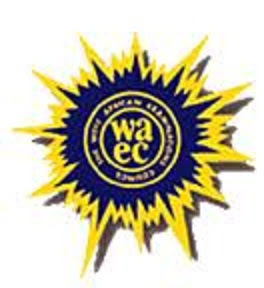 @Gold, WAEC is in the process of uploading. Just keep checking back. ples wen shuld we b expectin our weac result now. can i be admitted to any tertiary institute this year when my result is released. @richmond adu asamoah, yes, provided you did UTME. hello sir, pls am keen to know the actual day that 2014/2015 waec result will be release?….because i seriously need to print mine. @Abdul lapai justice, English, Maths, Physics and Chemistry. @MSMITH, you are qualified for all courses in Management science. I score 192 marks in my jamb result, n I chose Federal university dutse, which they hav announced to host, the post UME exams on 30 August. n my may/june 2014 waec result is not release… pls how can I do? @ sa’id umar, the result is expected to be out before the end of this month. @Princeprecious11, WAEC may/june result will be out any moment from now. WAEC statistic is yet to be announced. please waec 2013/2014, when are they going to release it? we were told that it usually comes out after 90 days from the day last was written. is it true?? @Abdul almau, at times, it’s released even before the 90 days. @olukotun damilola, it should be out by August/September. @adekanye, WAEC May/June result will be out by August/September. please went will WAEC May/June 2014 result will be out? is any problem with? @Edwn Efiong Etifit, it should be out by August/September. @ oluwaseyi, when last did you check? @Becky, your result in full please? please tell me when private form will be out,and the cost. @ lamin Nabie kamara, it should be out around June. Its price is not known yet. @Nawasico, you need your O’level result for clearance. @Jessica, which year is that? @Godswill t. Obere, was it cancelled or witheld? @tosin Olayinka, At least a credit pass in English and Mathematics are required for all courses. Pls sir, when will HELD result on Nov./Dec. GCE 2013 b out, pls I want 2 knw, am so much worried over it, what does HELD mean in a result, pls I want 2 knw. Thanks and God bless u. @MezzyKul, your result would still be released provided WAEC can’t trace any form of examination malpractices to it. Please i sat for waec 2013 may/june and my english was outstanding and has not been release up till now. My centre& sit no are 4290515012, help me i need the result. @Eniola, make sure your examination number is correct. did further mathematics compulsory 4 electrical engineer student? @raylove, Further Mathematics is not compulsory. pls, my math is outstanding…wen will out standing will be released? @Tobi. just keep on checking the result. WAEC will release it when they are done with their investigation. @EMMANUEL, only WAEC knows. Sorry for that. Pls withheld result and held result are they dsame? Witheld results is pending, meaning that they are still screening it. While held means the results has been seized. can i study geology without physics? Did you centre engage in any form of examination malpractices? When would outstanding result be released? And wat is d meaning? @Chijioke Nnabugwu, WAEC withheld some results in connection with various cases of examination malpractices. Withheld results may not be released. @omorode, you can get the WAEC result checker from banks like Mainstreet, skyebank and any business centres and cyber cafes nearest to you. Its been a week now since mawuli schools result has not been releasd. Why…. For how long will it take. Please why has it been witheld and does the witheld mean they are going to remark? @Francisca, you have to be patience since your school result might be undergoing screening by the board.